What is LDL Cholesterol And Common Treatments For The Condition? LDL Cholesterol stands for Low Density Lipoprotein Cholesterol and is a form of cholesterol commonly known as ‘bad cholesterol’. First up, let’s understand what cholesterol really is – a fat that is found in the blood and cannot be transported by itself since its insoluble in water. Do you know when they’re assessing your blood for the risk of heart disease; it’s the LDL levels they’re actually looking for. Let us put it more simply. Since cholesterol is insoluble and needs to be transported, the body binds it to proteins which act as taxis and carry it around. These taxis come to be known as lipoproteins. LDL is one of the most important carriers of cholesterol in the body. LDL-C is the amount of cholesterol carried by the LDL. 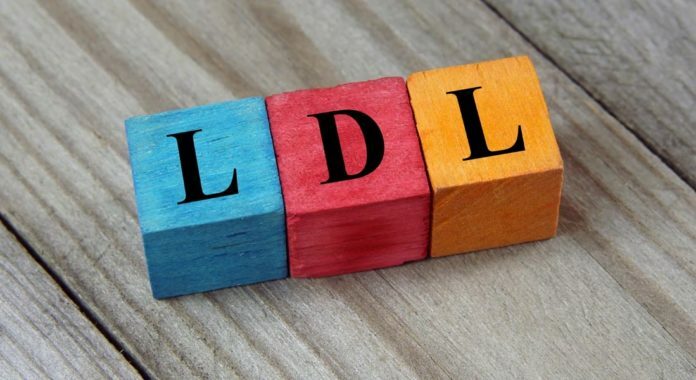 Now the importance of LDL and LDL-C comes in when you realize that there is an insanely strong correlation with LDL levels and cardiovascular disease, both being directly proportional. Here’s your first take away from this article right here, next blood test you know what to look out for – LDL-C levels. The higher they are the, more cautious you need to be. Now that you’re aware enough, you already know half the things that your doctors going to educate you about. It’s always better to be well informed, isn’t it? While now you know what the condition is all about and what can lead to high LDL-C, you need to understand what you can do to control it and stay healthy. What you CAN do is start EATING HEALTHY. Eat foods that are obviously low in saturated fats and cholesterol. Switch up your energy sources from fats to carbs and rely on food sources with simple carbs such as crackers, sugar and white bread. You can also include more of green leafy vegetables and nuts in your diet to keep the cholesterol in check. Another way to keep your cholesterol levels in check is to E X E R C I S E! Yes, exercise actually helps you use the fat that you’re consuming so that it doesn’t keep getting stored in your body and are utilized when consumed. It’s for this reason that people who work out or run more intensely than the average person consume cholesterol rich foods such as whole eggs, red meat etc. and still stay completely fit and healthy. However, in a few exceptional cases both diet tweaks and the inclusion of exercise in your daily regimes is not sufficient to keep the cholesterol levels at bay. In such cases, doctors suggest the use of medication to combat this condition. Certain drugs such as statins (under supervised doses) help prevent the creation of cholesterol. There are also other medicines that help lower the cholesterol levels in your body. In some severe cases, the protein interfering with your liver’s function of throwing out the excess LDL need to be blocked and are treated with shots rather than pills. You’re probably wondering why you need to know such details about a condition that you may or may not even have. But the ugly truth is that more and more people are being plagued with this condition with every passing year, owing to the increased dependence on junk and processed foods coupled with a sedentary lifestyle. Including certain types of supplements in your daily routine can also ensure your good health in the long run. Think green tea and green tea extract, think omega 3 fatty acids! These haven’t been exactly proven to do the job but definitely have been proven to help along the way. While LDL is a big factor in the risk of heart disease, it isn’t the only one you need to focus on. Smoking, diabetes, high blood pressure, obesity, lack of physical fitness and exercise are other factors that also need to be considered. With the right combination of one or more ways to control cholesterol, high LDL levels can be contained but it is absolutely essential for you to maintain a healthy lifestyle in the long run to ensure that the risk stays at bay. Wake up early, go for a run or a swim at least thrice a week and avoid the intoxication or at best keep it to moderate levels to contain the threat of CVD. Stay healthy, stay happy! Want to know more about managing cholesterol levels? Download our mobile app and chat with a doc for free.